Come out and start your day with a great breakfast made for you by the firefighters of the Croton Falls Fire Department. Hope to see you all Sunday, March 25th, 2018, between 8 a.m. and noon. 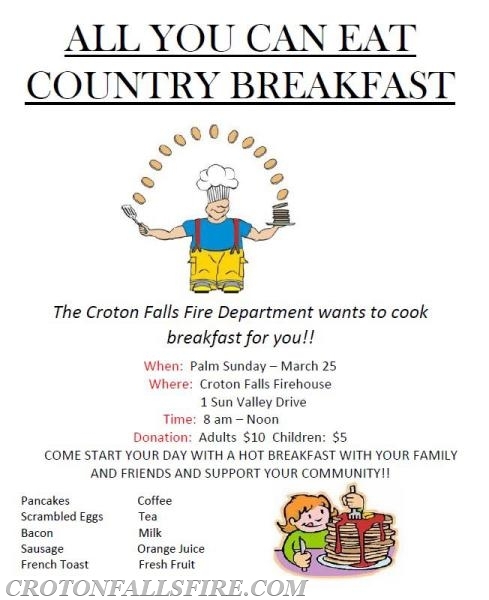 Breakfast will be served at the Croton Falls Firehouse at the intersection of Route 22 and Sun Valley Drive.